The next item on the delivery lorry for 25th July 2011, was the auxiliary container. This container provides additional storage. It also came with various pieces of equipment inside that would be needed for the installation. 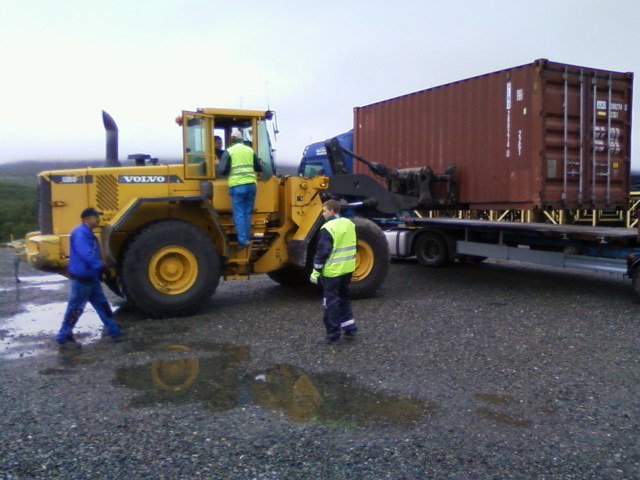 Unlike the RF-container, unloading and placing this was pretty straight-forward. However, the following load proved to be difficult and dangerous. Stay tuned!